“Named for a retired California Western Railroad steam engine on the Fort Bragg to Willits run through the Redwoods, Old No. 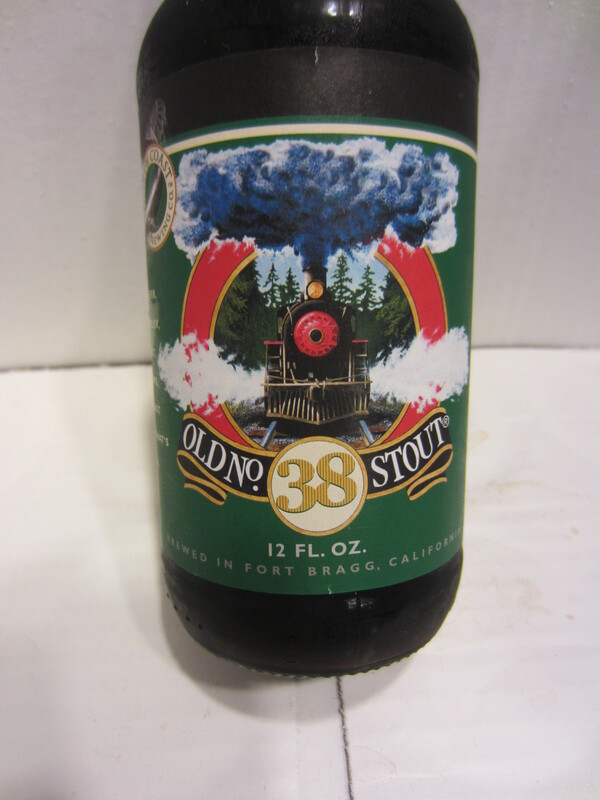 38 Stout is a smooth, firm-bodied stout with the toasted character and coffee notes of dark malts and roasted barley.” 5.4% ABV Dry Irish Stout. 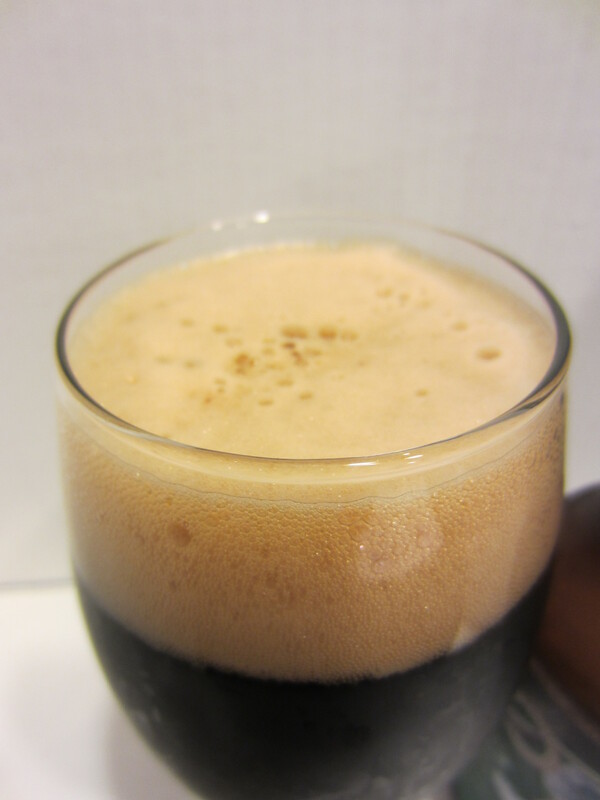 Poured from a 12 oz bottle into my stout glass. Old No. 38 is solid black in color, with a light brown, frothy head. 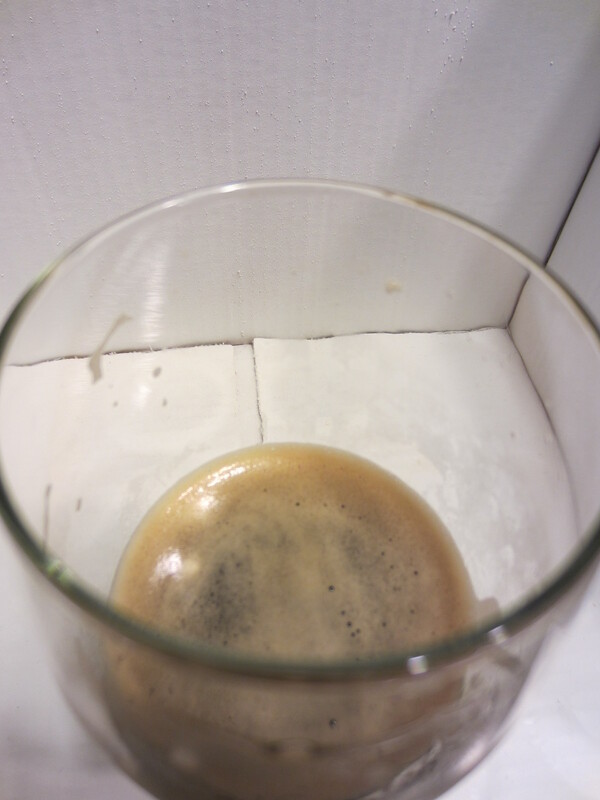 Trace carbonation is visible, and light lacing is left on the glass throughout. The aromas consists of dark chocolate, dark roasted malts, and a very faint undertone of dark fruit and molasses. Medium bodied, not too thick or watery, with some noticeable light carbonation. The flavor is dark chocolate mixed with roasted (close to burnt) malts. I get a small amount of a metallic/mineral flavor as well. It finishes delicately dry, while the aftertaste offers more roasted-malt graininess, as well as some hop bitterness in the palate.